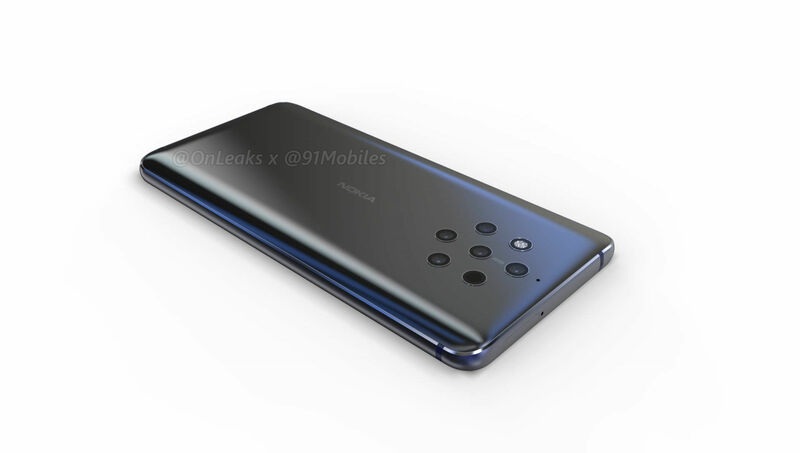 Nokia 9 PureView has been mentioned quite a few times by Google in the last 48 hours. The device appeared in their Android Enterpise catalog of devices and on the list of phones that support the Google Play Store. 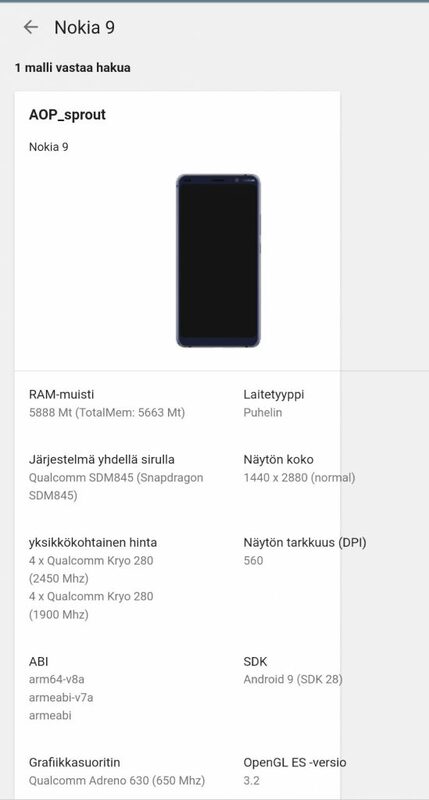 Now the Nokia 9 PureView was also spotted on Google Play console listing for developers. The console listing re-confirms Snapdragon 845 as the SoC and 6GB of RAM. Considering that the Android Enterprise catalog mentioned 4GB of RAM, it's reasonable to assume that the device will be offered in more memory configurations. The other specification listed is the screen resolution of 1440 x 2880 pixels and Android 9 Pie. If you're wondering why Nokia 9 will not use Snapdragon 845, it's mainly because, unofficially, the device was postponed from a "IFA2018" launch in September / October 2018 to MWC2019, and HMD probably already reserved all components and FIH fine -tuned the assembly lines. Another reason could be the Light camera tech the 9 will allegedly use, which is not optimized for Snapdragon 855 (yet). According to rumors, the price should reflect the older hardware and the device should be priced less than the flagships from competition, but the 9 will lack in performance and 5G support compared to new offers from others. Announcement of Nokia 9 is finally expected to happen on 24th February in Barcelona on HMD's #GetSmart event.